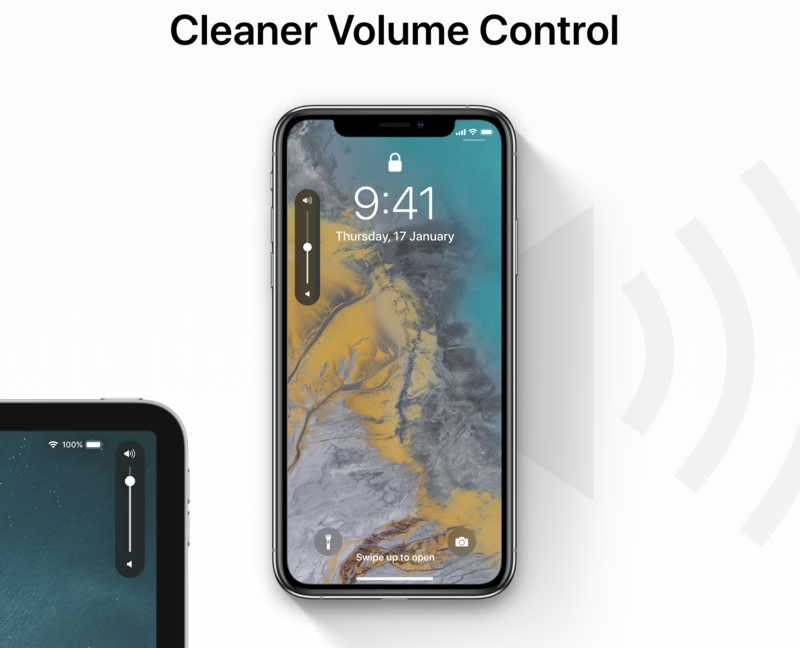 A recent iOS 13 concept by designer Leo Vallet has some fun with iOS 13 possibilities including a redesigned volume UI, mouse support with AirPods-style pairing, the multitasker merging with Control Center, iPad external display support, and more. Leo shared the concept on Behance, and offers an interesting look at how Apple could innovate with the next release of iOS. One interesting idea hinted at in the image above offers users private and family “spaces” to more easily share and manage content. As we’ve seen in concepts for the last couple of years (with lots of demand from users for a refresh) Leo has imagined a fresh volume UI. But instead of using the left ear of the display cutout on iPhone, it appears beside the volume buttons themselves (same on iPad) and offers a much more clean and unobtrusive experience compared to the current UI with iOS 12. Another oft-requested feature is a revamp to Control Center. With the release of the iPhone X and the removal of the Home button, Apple moved Control Center access to the top right corner which is more difficult to reach, especially one-handed. Leo’s concept merges the iOS multitasker with Control Center, which would be a simple swipe up from the bottom of modern iPhones. 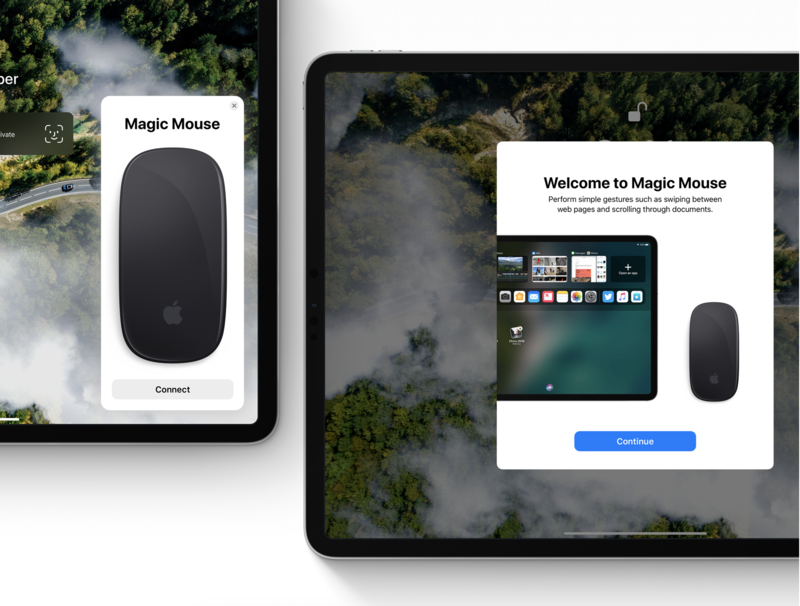 As we move closer to iOS and Mac merging with Marzipan, this concept also sees mouse support arrive for iPad with an AirPods-style instant pairing process with a new “W3” chip. While third-parties have filled this gap until now, Vallet also imagines native support to use iPad as an external display with a Mac. The concept also visualized an iOS Dark Mode, which is expected to land this year, security enhancements to Find My iPhone, and more. Check out the full concept here. What do you think? What’s your favorite feature or change in this concept? Share your thoughts in the comments below! iOS 13 is expected to be released in the fall of 2019 for iPad and iPhone. 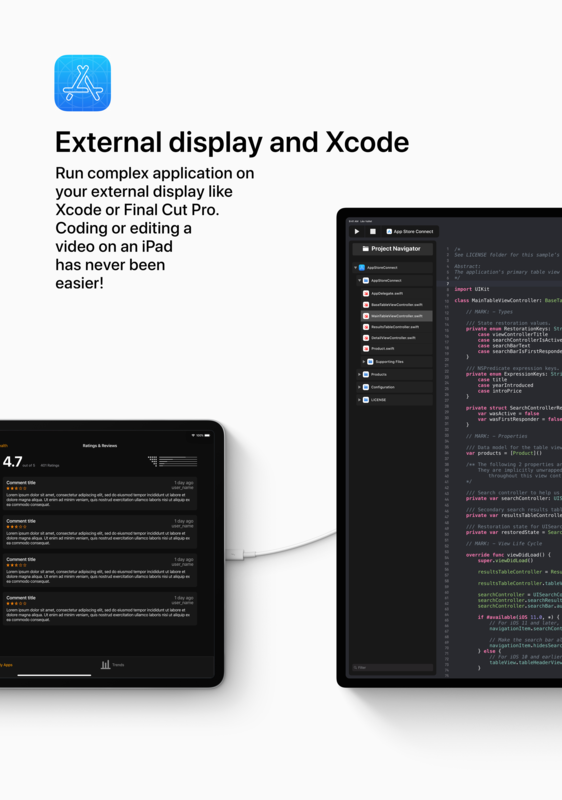 A developer beta is expected to debut at WWDC 2019 in June.